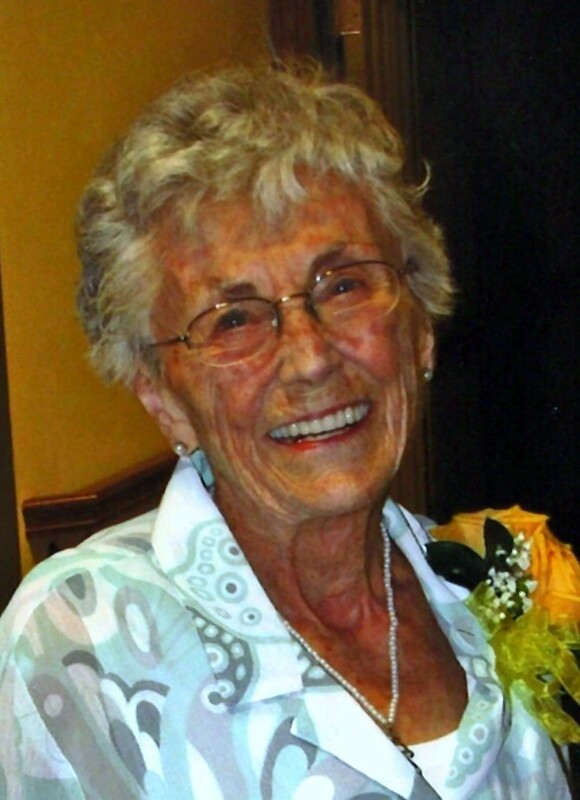 Mary Jean Arnold, 98, of Greeley, CO passed away October 12, 2018.
grew up in Rapid City, SD, graduating from Cathedral High School in 1937. She married Joe W. Stangle May 3, 1941 in Custer, SD. After his death in WWII, Mary Jean married Allan P. “Birdie” Arnold of Deadwood, SD May 6, 1949. Mary Jean relocated to Denver, CO and retired from the US Forest Service in 1980 after 20 years’ service. 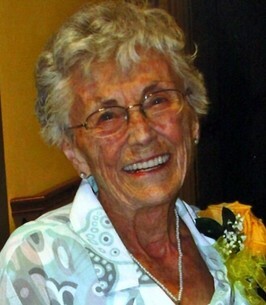 After retirement, she moved to Greeley where she lived until her death. She is survived by her daughters, Joe (Ken) Nickerson of Greeley, and Mary (Wes) Swartout of Spearfish, SD; nine grandchildren, including Christi (Hossein) Shirazi and Jeff (Carla) Nickerson of Greeley; 21 great grandchildren; and two great-great grandchildren. Preceding her in death are her parents; brother, Donald M Hassett; husbands, Joe Stangle and Bridie Arnold; and sons, Michael Stangle and Patrick Arnold, Sr. Following recitation of the rosary at 11:00 a.m. a Funeral Mass will be celebrated at 11:30 a.m. on November 6, 2018 both at St. Mary Catholic Church, 2222 23rd Avenue, Greeley with private inurnment at Mt. Olivet Cemetery in Wheatridge, CO. In lieu of flowers, donations may be made to “Pathways Hospice”, 2525 W. 16th St., Greeley, CO 80634.